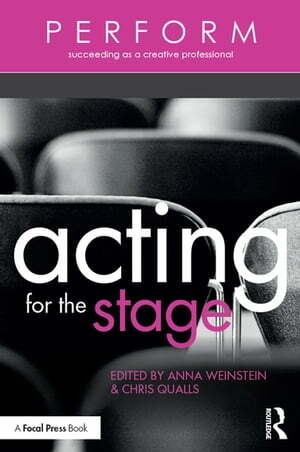 Collins Booksellers - Acting for the Stage by Anna Weinstein & Chris Qualls, 9781317370505. Buy this book online. Acting for the Stage is a highly accessible guide to the business of theater acting, written for those interested in pursuing acting as a profession. This book is a collection of essays by and interviews with talented artists and businesspeople who have built successful careers in the theater; it’s a goldmine of career advice that might take years to find on your own. Herein, the myths around professional acting are dispelled, and the mysteries revealed. Acting for the Stage illuminates practical strategies to help you build a life as a theater professional and find financial rewards and creative fulfillment in the process.